Our pride and joy: the HEFS butchery regularly wins awards for its skill, creativity and service-with-a-smile. We are incredibly proud to have trained five butchers from apprentice all the way through to fully fledged butcher since we the Farm Shop opened. Estate-grown beef is usually hung for at least 28 days before being expertly butchered. We also have lamb, pork, free-range chicken, venison and other game for roasting, or jointed for casseroling or stir-frying. We make our own fantastic sausages in a huge variety of flavours, and were thrilled to be awarded Best Plain Sausage at the Taste Cheshire Food & Drink Awards in 2017 and nominated in this year’s competition for best speciality sausage, too. We’re always happy to chat, and to share our favourite ways to cook things, so if you have any questions, just ask! 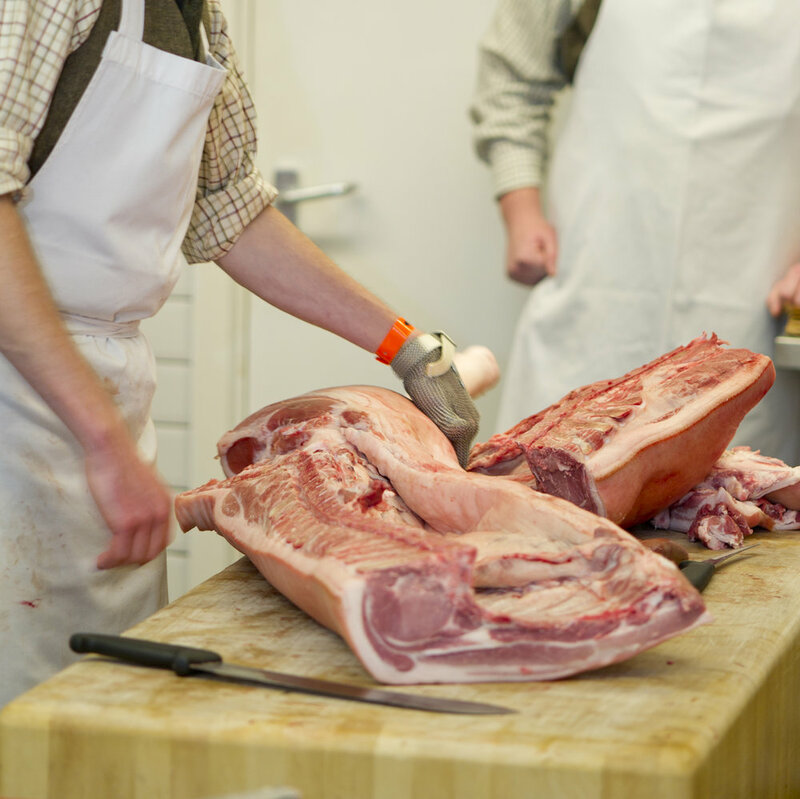 Sign up to our enewsletter for regular updates and news of butchery workshops. We are now taking Easter meat orders. Download your order form here or pick on up in-store. To say thank you to our loyal customers, we have created a Butchers Club loyalty scheme which offers exclusive access to weekly offers and discounts. If you would like to join the Butchers Club, ask one of the team how to join.